LOUISVILLE, KY (WAVE) - Rapper and music mogul Master P is spreading the word about a Louisville boy killed by a stray bullet. Dequante Hobbs, 7, died after being hit by a bullet that entered his home through a kitchen window on May 21. Bookmarks bearing Hobbs' picture and name will be distributed to JCPS students when they return to school in August. The family said they chose to give out bookmarks because Hobbs' loved to read. Master P and his son, Romeo Miller, have been helping Hobbs' family cope with their loss by raising awareness about the child's death across the country through their own organization, Team Hope NOLA. "They have been hit in their own family with losses due to violent crimes," community activist Christopher 2X, who is a friend of Master P, said. "So when they heard about Dequante's story, it was a pretty easy segway for them to reach out to the mother and father of Dequante Hobbs to get his story into a bigger spotlight and create a scholarship in his honor that will be ongoing to touch somebody else's life." 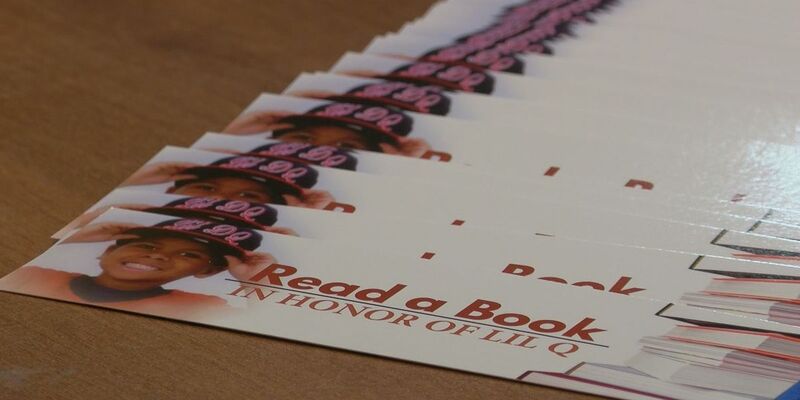 Master P plans to distribute the bookmarks, along with t-shirts, at his upcoming back-to-school event in Pompano Beach, Florida.